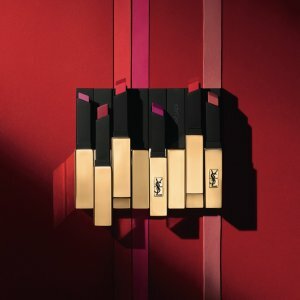 YSL Beauty offers 20% off with $75+ purchase of Rouge Pur Couture The Slim Matte Lipstick, via coupon code DEALMOON20 . Spend $125+ to receive a Deluxe Mini RPC Shade 1. Buy any 3 lip products and receive a Complimentary Makeup Pouch. Buy 2 Rouge Pur Couture Holiday Edition, get one free. Purchase a 50mL or larger Mon Paris Eau de Parfum and receive a complimentary deluxe size Mon Paris EDP.